Goku: You are a fun loving family man, who loves to eat with friends and wage battle against those that wish to harm Earth. You train hard so you can defeat your foes swiftly. Your transformations are powerful and you love music to reflect that. You enjoy music that you and your friends can enjoy, but with enough energy to get you fired up for battle. Vegeta: You are arrogant and do have a soft side. You enjoy having better taste in music then Goku and everyone you know; You enjoy bragging about your impeccable fighting skills and next level taste in music. You were once evil so you enjoy darker tracks, that have powerful elements. Gohan: You are a shy, strong, and a fierce Saiyan. You have a secret identity to fight crime and have trained with some of the greatest warriors the galaxy has ever seen. You're a scholar and a gentleman and prefer diplomacy over fighting. You like music that is more mellow and relaxed with nice bass and percussions. Piccolo: You are from an ancient race known for creating the Dragon Balls. You were once evil, but became good after merging with other Nameks and training Gohan; who you have a special attachment to as his mentor. You enjoy music with multiple personalities and different styles in one song. You enjoy dark, stubborn, and thoughtful music. Future Trunks: Raised in an apocalyptic world has made future Trunks into a deep thoughtful person. Trunks deeply loves his family and friends who have died in his lifetime. 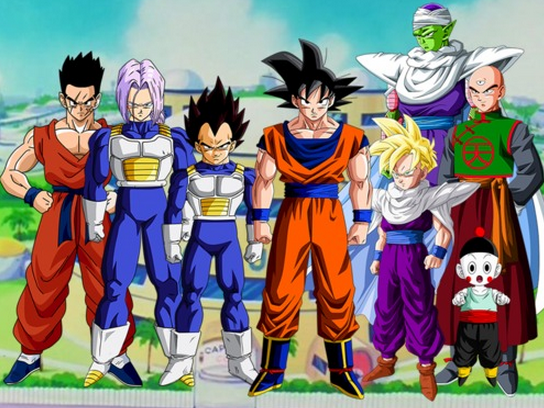 When he travels in time and warns Goku, he stays to help the Z fighters against the androids and Frieza. He enjoys deep and futuristic music that reflects his thoughts. Chi-Chi: A person of pure heart like Goku, she is often found farming and cooking for her family and friends. She is overprotective of her family and one of the top female fighters in the world. She enjoys mellow non aggressive music with nice melodies and percussions.